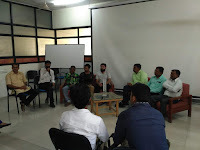 Gujarat Educational Blogger First Meetup at Ganpat University, Kherva by Kachhua.com team. 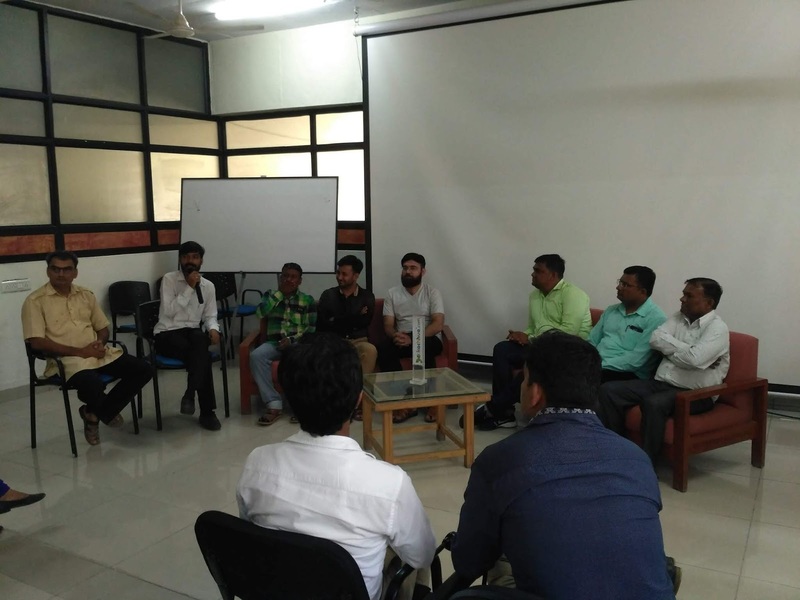 First time ever in Gujarat Educational Blogger Meetup Sponsored by Kachhua.com team and Ganpat University at Ganpat University, Kherva, Mehsana on 7th Thursday 2018. This event attended by 40 Educational Blogger of Gujarat. Kachhua.com team is Lunching New Study Course By Application Video and Quiz and Online Live Teaching in this course at there. Blogger are attend this event and enjoy this moment. Special Thanks to Vijaybhai and Kacchua.com Team, Ganpat University, Pro. Shaurabh Dave and Hitesh Patel For this meetup. Kachhua.com is famous for Online Competitive Exam Preparation. Kachhua.com take big step for Student by online Study Courses. New Study Course by Application Video and Quiz and Online Live Teaching in this course at there in affordable Price. Student can learn from anywhere in Gujarat form his home by online. This Course is in two method first Online Application and Second is SD card Method for those who not connected online. Pro. Shaurabh Dave Sir Guided to Educational Blogger so many things of technical like Tread Mark, Plagiarism, Copyright, Domain and Open Sources etc. Ganpat University, Kheva, Mehsana is so many technical Courses and Certificate Courses and Placement Courses also there. Educational Blogger was visited Ganpat University Campus and see Marin Ship Department and Jim Department of university by Campus Bus. Watch Video of This Event on YouTube Channel Like and Share it. Comment: If you like this Article so Like and Share it. also Comment on my Comment box is end of this article Give us feed back about this article on my Mail id or Message me Box in contact menu and also on top of my Blog. Also Visit and Subscribe my You tub Channel. Search on Youtube "mihirkumar" and watch video and share like and comment on it.